A shield volcano is the largest type of volcano on Earth, with low viscosity lava flows and a wide broad shape. The low viscosity, runny, nature of the lava means it travels in streams far from the source and covers many square miles. The largest volcano in the entire world, Mauna Loa in Hawaii, is a shield volcano. Shield volcanoes like Mauna Loa are impressive to look at and study, because their eruptions are not usually violent, meaning they can be approached much more safely than other volcanoes. Yet how does a shield volcano work, and how does it differ from other volcanoes? Shield volcanoes are just one type of volcano. Volcanologists separate volcanoes into three different categories: cinder cone volcanoes, stratovolcanoes, and shield volcanoes. Cinder cone volcanoes are the most common out of all the different volcanoes in the world. They are also what people usually think of when they hear the word “volcano”. When cinder cone volcanoes erupt, they send bits of lava into the air. These little bits of lava are referred to as tephra, and after they land they rapidly cool at the volcano’s vent, meaning that a crater builds up at the summit of the volcano over time. Cinder cone volcanoes tend to be rather small when compared to other volcanoes, with an average size of around 90 meters (300 feet), unable to rise more than about 366 meters (1200 feet). 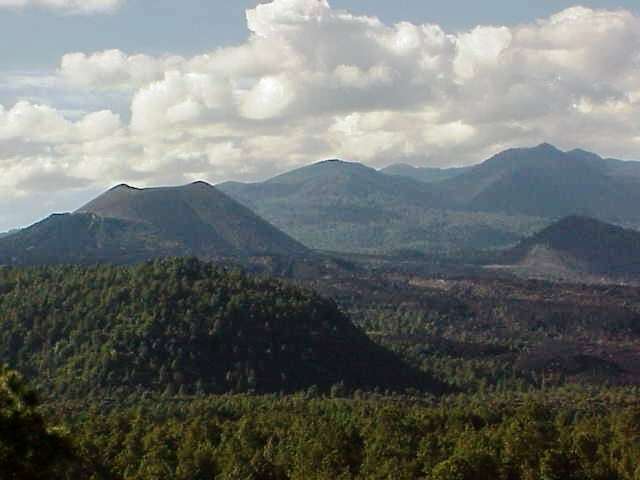 Famous cinder cone volcanoes include Paricutin in Mexico and Mount Suribachi in Japan. 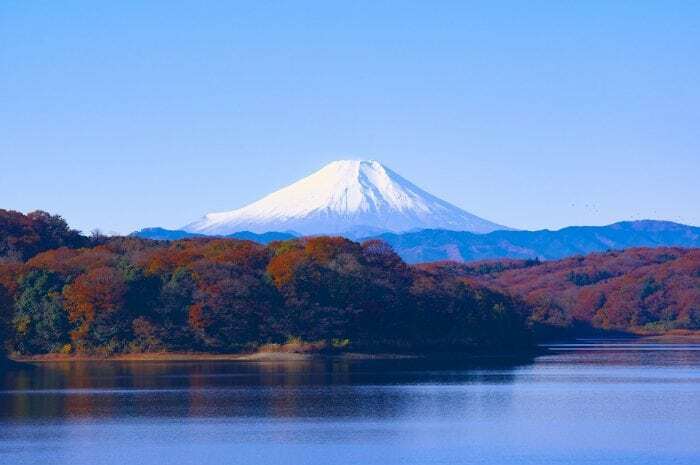 Stratovolcanoes are sometimes referred to as composite volcanoes because they are made up of alternating layers of rocks, hardened lava flow, ash, and stone. Eruptions from stratovolcanoes are dangerous because they are very violent. The magma chamber of a stratovolcano fills up with gases that dissolve into the molten rock. Those gases expand rapidly and explosively when the pressure releases, creating the explosive eruptions associated with stratovolcanoes. One of the most famous stratovolcanoes is Mount St. Helens in Washington, which erupted on May 18th, 1980. The eruption leveled about 600 square kilometers (230 miles) of forest and killed 57 people. Other famous mountains include Mount Kilimanjaro in Tanzania, Mount Fuji in Japan, and Mount Vesuvius in Italy. Shield volcanoes are known for their gentle slopes, which are the result of fairly low-key eruptions. Lava frequently bubbles out of shield volcanoes and slopes down the volcano, spreading out in every direction from the vent. The base of a shield volcano can be quite large, easily kilometers or miles in size. The slope of a shield volcano resembles the shield of a knight, hence the name. Mauna Loa is approximately 1,700 meters (55,000 feet) high. Most of this size is below the ocean, only around 4,170 meters or 13,680 feet exist above sea level. Other well-known shield volcanoes include the Alcedo Volcano in the Galapagos, Mount Wrangell in Alaska, and Rangitoto Island near New Zealand. Volcanoes can also generate other structures, like calderas. Calderas are created when the magma chamber of a volcano is completely emptied and it collapses in on itself. Calderas can become crater lakes or exist in concentric circles near the top of volcanoes, having been created in a series of collapses over time. Shield volcanoes are usually formed by lava flows that have low viscosity. Viscosity refers to the thickness of the lava, how much it resists being moved. Lava that flows easily tends to produce shield volcanoes. Shield volcanoes that have broad profiles are likely to be created by multiple layers of basaltic lava that come out of vents. Because the lava flows out of shield volcanoes has higher viscosity it is usually capable of traveling greater distances than lava that erupts from either stratovolcanoes or cinder cone volcanoes. The sheets of lava are usually thinner as well, due to the fact that they travel longer distances and are hence distributed. This is what usually counts for their distinctive shield-like shape. Lava flows from shield volcanoes do not typically threaten human lives since they usually follow easy to predict paths. Yet since shield volcanoes frequently have eruptions that are prolonged, they can flow to areas a good distance away from the vent and damage structures. Lava flow from shield volcanoes frequently reaches local roadways as well, which can block them and prevent traffic. However, some shield volcanoes are classified as pyroclastic shields. This means that the slopes of the volcano were formed by the accumulation of chunks of material over many different eruptions. Eruptions of shield volcanoes can be explosive if water is able to get into the vent, or if some object obstructs vents. Since shield volcanoes can be created in multiple different ways, different shield volcanoes around the world will have different shapes to them. Mauna Loa is large with a massive and elongated base, but volcanoes found in Iceland, such as Skjaldbreiður, are much smaller than their Hawaiian counterparts. Shield volcanoes can sometimes create lava tubes. This is usually a result of repeated eruptions over many years. The lava will follow a path down a hill, and as the exterior of the lava cools it can serve as insulation for the lava underneath. This lava underneath the cool outer layer is still hot and still flowing. When the eruption eventually stops the tube of cooled lava will hollow out as the last of the hot lava continues to move downhill. The end result is a cave referred to as a lava tube. The areas of the world with the most shield volcanoes include Hawaii, the Galapagos, and Iceland. 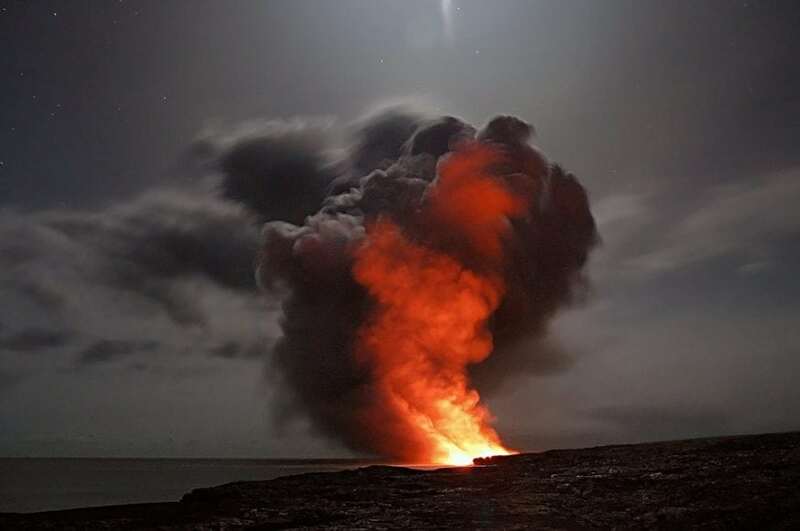 The Hawaiian islands chain has more than 43 major volcanoes including Mauna Loa. Kilauea is one of the most active volcanoes in the entire island chain, and it is rather young as far as volcanoes go, only about 300,000 to 600,000 years old. The current eruption of Kilauea started in 1983, which means that it has gone on for more than 30 years. Another large shield volcano is Mauna Kea, which is higher in elevation than Mauna Loa, though it is smaller overall. Iceland is home to a large number of shield volcanoes as well. The shield volcanoes there tend to be much younger than those found in Hawaii, as they are thought to be only around 5,000 to 10,000 years old at the most. They are distinguished by their small size and symmetrical form. The Galapagos Islands are home to a large number of shield volcanoes, which range in size and age. The youngest of the Galapagos volcanoes is thought to be around 700,000 years old while the oldest is estimated at approximately 4.2 million years old. Several of the islands in the Galapagos islands chain are actually just shield volcanoes, such as the island of Fernandina, which has been experiencing ongoing eruption since April 2009. The shield volcanoes in the Galapagos Islands are characterized by their deep calderas at the summit with rather severe middle slopes. Shield volcanoes, like all volcanoes, play an integral part in our planet’s geology, and their gentle flows are an excellent research opportunity to the researchers who study lava and volcanoes.